Trucking industry revenue hit a record $726.4 billion in the U.S. last year, according to a new report from a national trade group. The American Trucking Associations released its American Trucking Trends 2016 compilation Thursday — the latest in some seven decades of data sets from the organization. Employment in the industry increased slightly to 3.5 million drivers in 2015 from 3.4 million the year before. More than 7 million people work in trucking related jobs — including manufacturing, mining and finance. Sales exceeded $700 billion for the second year in a row, according to the report. Trucks collected 81.5 percent of freight revenue nationwide last year. The vehicles hauled 10.49 billion tons during the period — some 70 percent of all domestic freight tonnage, according to the report. They chewed through 54.3 billion gallons of fuel, spending some $105.2 billion on diesel— the lowest expenditure since 2009. In 2014, more than 31 million trucks were registered for commercial use, with 3.46 million of them categorized in the heaviest Class 8 weight segment. Last year, more than 3.6 million Class 8 trucks were on the road. 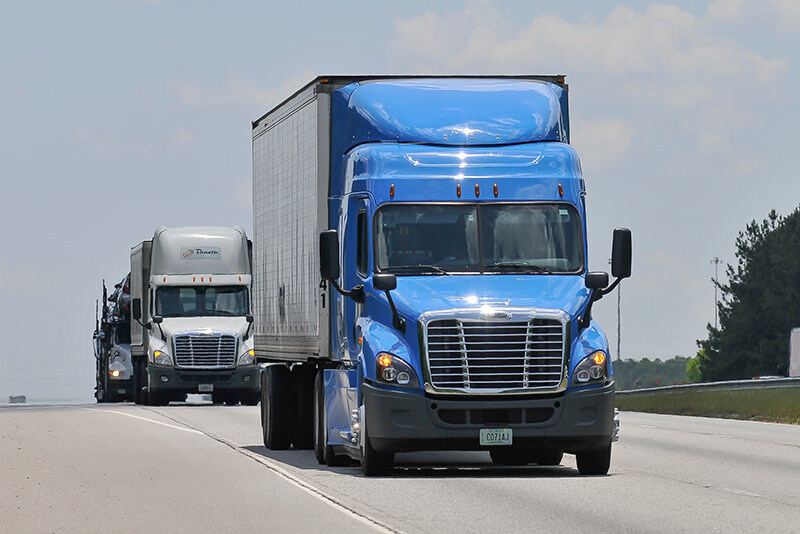 But orders of the large trucks sank in July to their lowest level since 2010 amid lackluster freight demand from shippers and a seasonal slump, according to preliminary data from ACT Research. Just 10,500 units were ordered — down 57 percent from July 2015 and 19 percent from June. More than 586,000 for-hire motor carriers were in business as of May 2015, as were 747,781 private fleets and 144,170 “other” interstate carriers, according to government numbers. But small companies make up the bulk of the industry, with 97.3 percent operating fewer than 20 trucks and nearly 91 percent working with six trucks or less, the trade group found. The extreme industry fragmentation results in intense competition and low profit margins, according to researchers. “While the first half of 2016 has been challenging for the industry, trucking is coming off two very strong years and we are optimistic about the future,” said Bob Costello, the ATA’s chief economist.